Fenton Orange Colonial thumbprint double ruffled compote 7 3/8"
Pretty double ruffle Fenton comporte in the Orange (NOT amberina) colonial thumbprint 1964-1965 Measures 7 3/8" tall. Perfect condition. 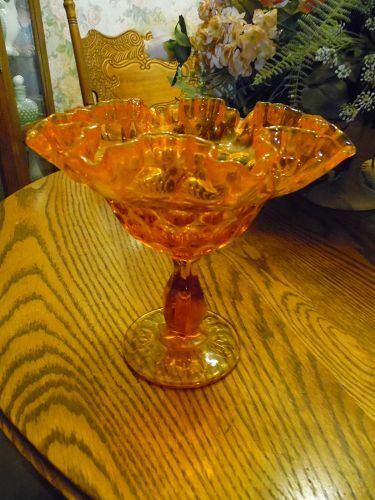 A beautiful vintage Fenton piece.